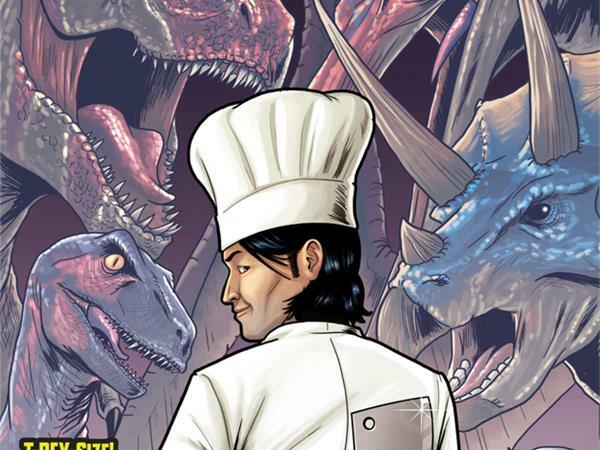 JURASSIC PARK MEETS TOP CHEF! Haunted by the death of his sister, Chef Nate Willner has lost his desire to cook. Forced to move back to his hometown in Utah and work at a coffee shop, Nate's life is quickly becoming a dead end. But when he unexpectedly inherits a time travel suit that takes him to the age of dinosaurs, Nate's passion for cooking is reignited! 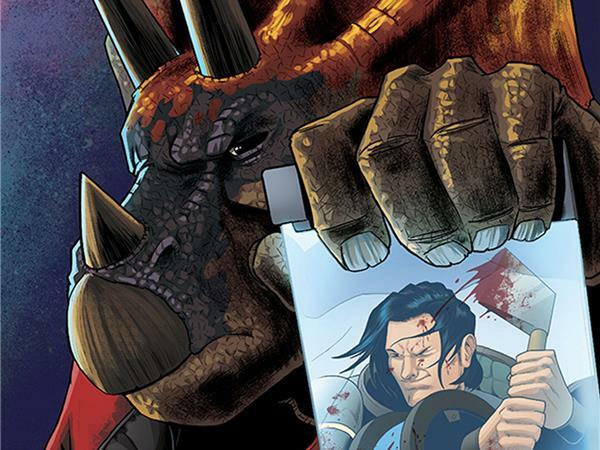 Voracious is the critically-acclaimed comic series by Markisan Naso and Jason Muhr which is back with its second volume Voracious: Feeding Time. Naso and Muhr join Graphic Policy Radio with hosts Elana and Brett who are joined by GP contributor Alex. 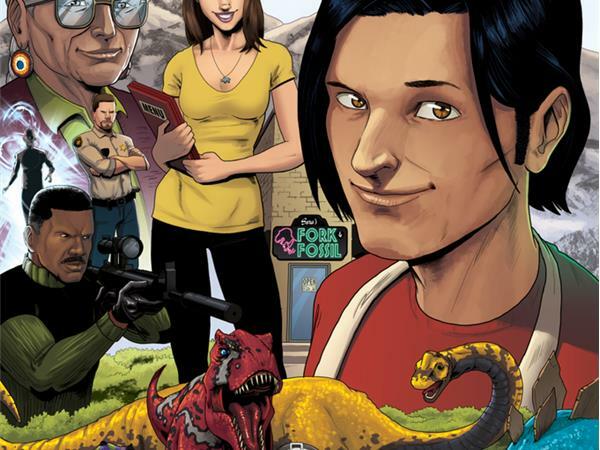 Markisan Naso is the writer of the critically-acclaimed comic book series, VORACIOUS, published by Action Lab Entertainment. He is also an editor and publishing expert who has managed and revitalized national publications such as Knowledge Quest and School Library Research for the American Library Association, has authored more than 150 features in print and on the web, edited over a dozen books, including The Anatomy of Zur-en-Arrh: Understanding Grant Morrison’s Batman and Voyage in Noise: Warren Ellis and the Demise of Western Civilization for the Sequart Organization. In his spare time he interviews comic book creators for his podcast, COLLOQUIUM. 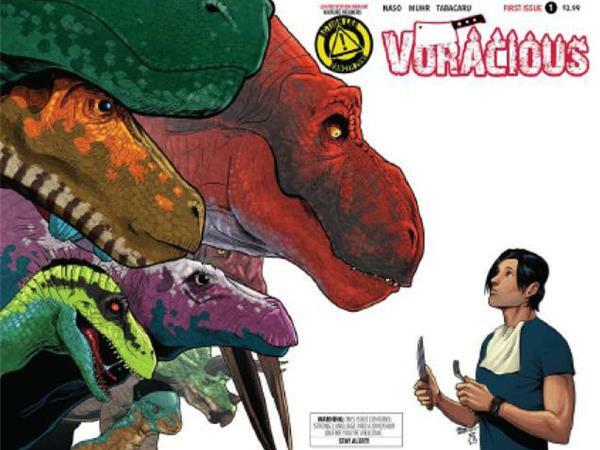 Jason Muhr is the artist, designer and letterer for the critically-acclaimed comic book series, VORACIOUS, published by Action Lab Entertainment. He has also worked for Marvel Comics and Valiant Entertainment, and co-created the short story “Like Giants” with Mark Waid for Thrillbent. Prior to entering the art and design world, Jason spent six years on the retail side of the comic book market, as an assistant manager at the Graham Crackers Comics chain of Chicagoland comic shops.